The type and value of the parameter are shown here. The name of the paramater that it is used under in the processing context is shown here. Opens a dialog where a parameter and its value can be defined. 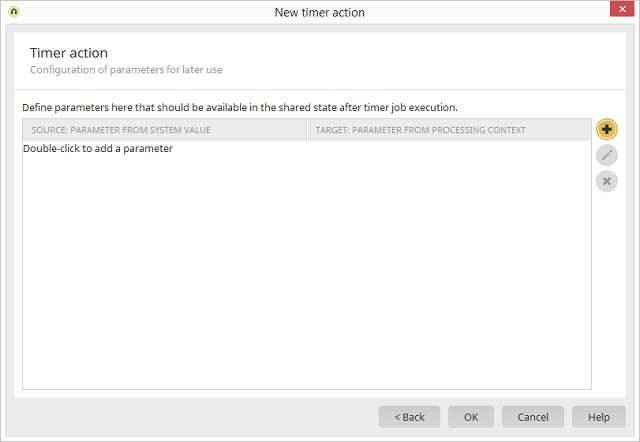 Opens a dialog where the currently selected parameter can be edited. Deletes the selected parameter from the list.